The 68-year-old actor who married his girlfriend arrived in a tuk-tuk to the venue. 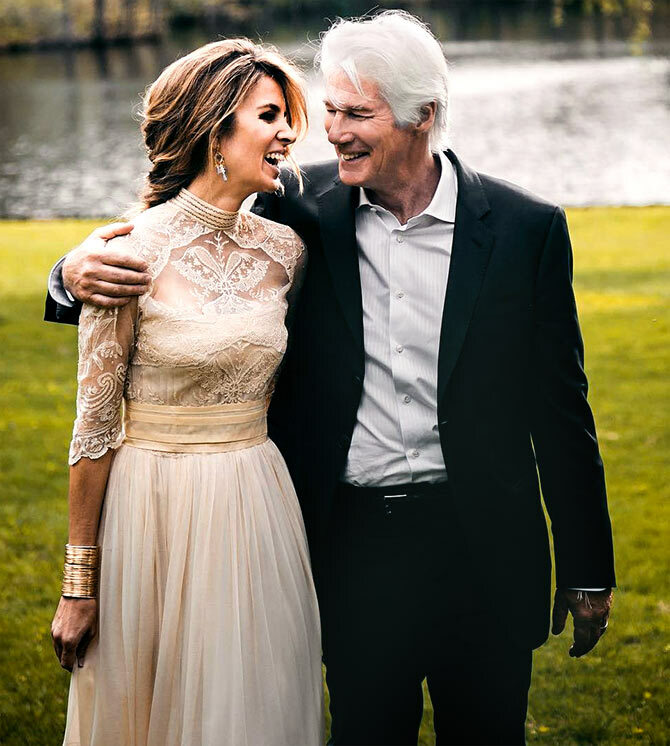 When 68-year-old Richard Gere tied the knot his Spanish girlfriend and activist Alejandra Silva, the bride accessorised her look with golden bangles. 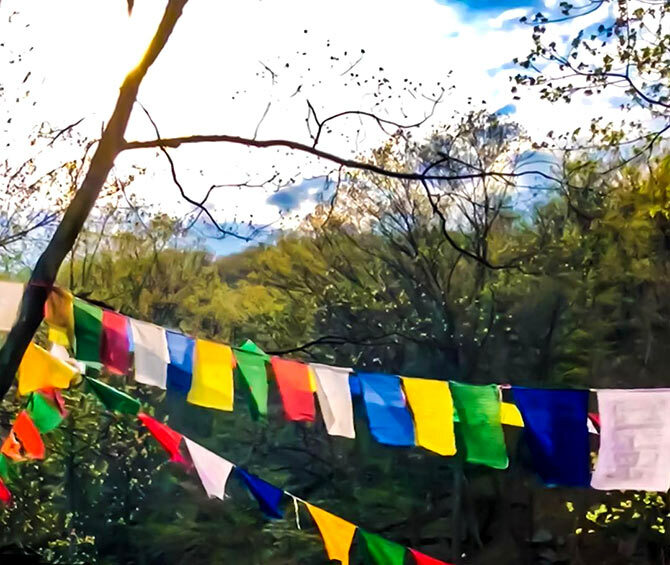 For the Indian style wedding, tents were imported from Jaipur and the venue was decorated with flowers and Tibetan flags before they made their entrance in a tuk-tuk. Alejandra shared this pic, above, from the wedding venue. 'And the day has arrived...what nerves! And the the day has come...so very excited!' she captioned the pic. Sharing photographs of their D-day with HELLO! mag, Richard Gere said he found a great life partner in Silva, 35. 'I'm the happiest man in the universe. 'How could I not be? I'm married to a beautiful woman who is smart, sensitive, committed to helping people, who's fun, patient, who knows how to forgive, who's a great cook -- and who makes the best salads in the world! 'You can't get any better than that,' he told the magazine. According to Alejandra, the actor wooed her by sending flowers until she agreed to date him and that, now married, he regularly writes her songs. The couple met in Positano four years ago when the actor stayed over at Alejandra's family-owned hotel. 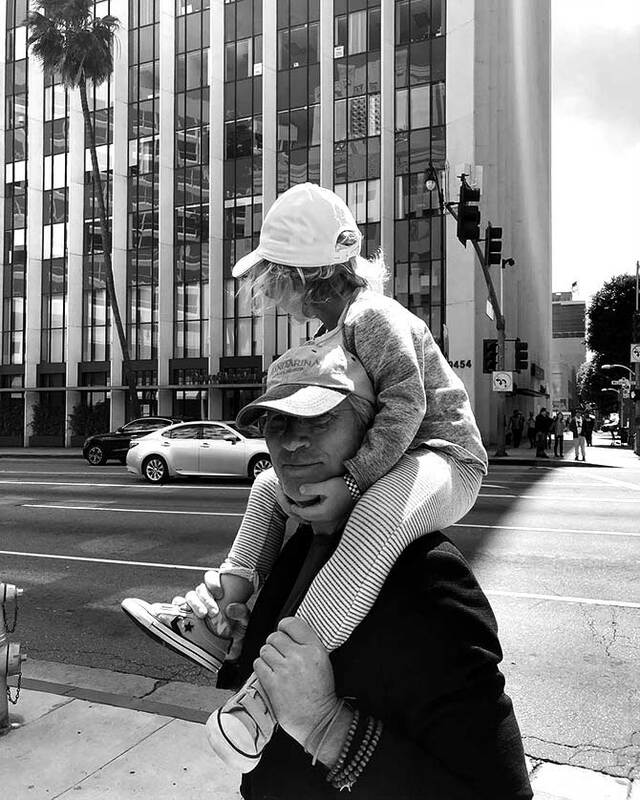 'Together with my two boys,' Alejandra captioned this pic. 'A friend introduced us, we looked at each other and felt a very strong connection. 'We couldn't stop looking at each other all night, and since then we haven't been apart,' Silva said. 'I feel like I'm in a true fairy tale. Without a doubt, I feel like the luckiest woman in the world,' she added. Alejandra has a five-year-old son with her first husband Govind Friedland. Alejandra described Richard Gere as the 'most humble, sensitive, affectionate, attentive, funny, generous man' she has ever met. 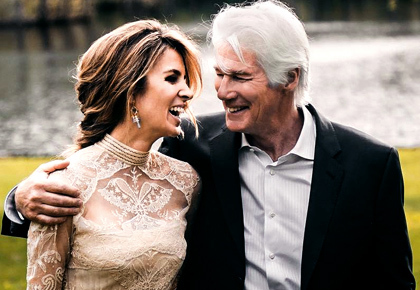 Richard Gere and Alejandra first started dating in 2014. 'Not a day goes by that he doesn't mention how important I am to him. 'I feel very lucky," she said. 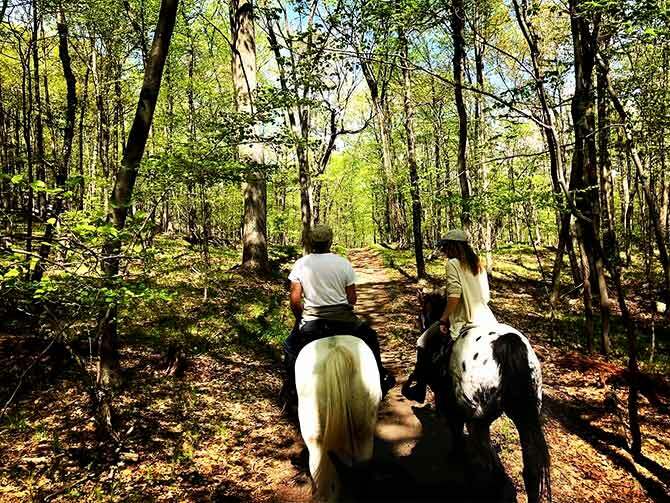 The couple exchanged vows on Gere's ranch outside New York City. Alejandra converted to to Buddhism and moved to New York.